The stage that is very well known to most of us. Nothing much happens until the final 30km, but then it gets very exciting. 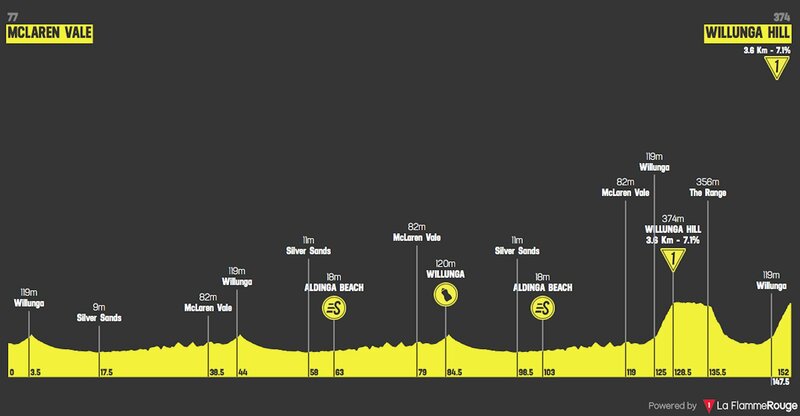 We have two ascents of the climb, usually the first time up doesn’t see many attacks as there are still plenty of domestiques left to chase, it’s all about the last time up. Not too hot, which the bunch will be happy about. The wind is relatively strong and coming from the South, meaning it’s a cross/headwind for the climb. This is good news for those hoping to hang on. Team Sky will be the ones setting the pace, they always do. They’ll drive from the bottom of the climb and try to put as many as they can into difficulty. Once Elissonde has finished his pull, that’s when Poels will attack, just like on Corkscrew Road. Will the other teams be happy with this arrangement? I suppose it depends on the speed Sky go at, if it isn’t fast enough, we could see Jumbo or EF take over. These teams have the same objective, put pressure on Impey and Bevin. 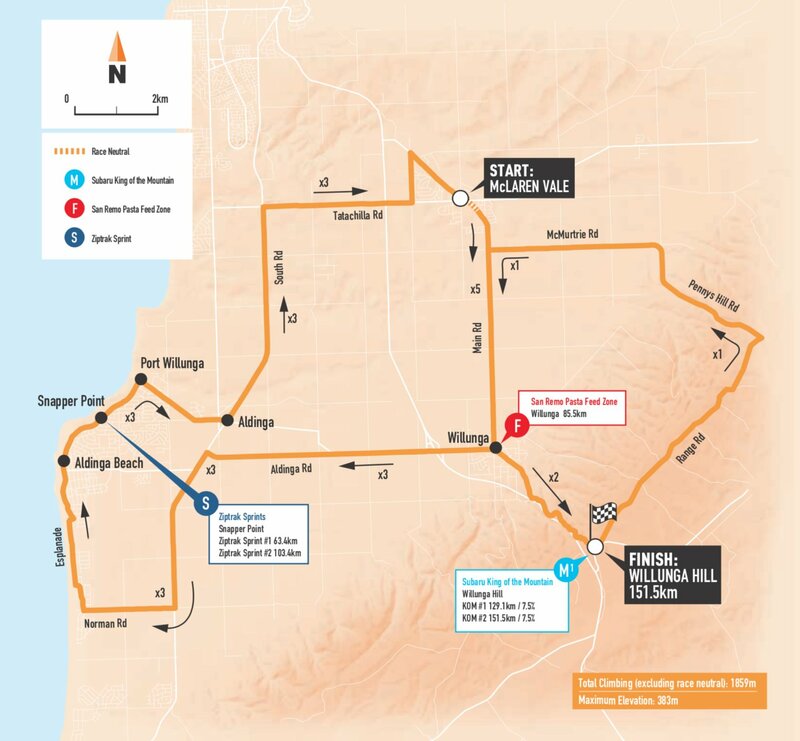 Richie Porte– the King of Willunga has won this stage for the last 5 years, that’s one hell of a record. The length and gradient are perfect for Richie and I think the only debate is when he’ll launch his attack. The headwind makes it likely he’ll wait until the final kilometre and then hit them hard. Like the other climbers, he trails Bevin by 26 seconds and Impey by 19. With 10 seconds for the win, there is still a chance of taking the ochre jersey, but it certainly won’t be easy. Given his record, he has to start as the favourite. Michael Woods– I’ve been very impressed by the Canadian so far in the race. In my opinion, he is the man who has the best chance of stopping Porte. Given his kick, this is a climb that also suits him well. This race has been a big focus for him, and he’ll go down fighting. His best tactic is to get on Richie’s wheel and go with his attack. Unlike Jay McCarthy in 2018, I think Woods has what it takes to stay with the Aussie and potentially go past him on the line. George Bennett– another rider who has impressed this week. He’s not as explosive as Woods and Porte, something that will go against him on this climb. 3.6km at 7.1% isn’t ideal for the Kiwi, but he still has a great chance of challenging for the podium, but the win will be too hard for him. 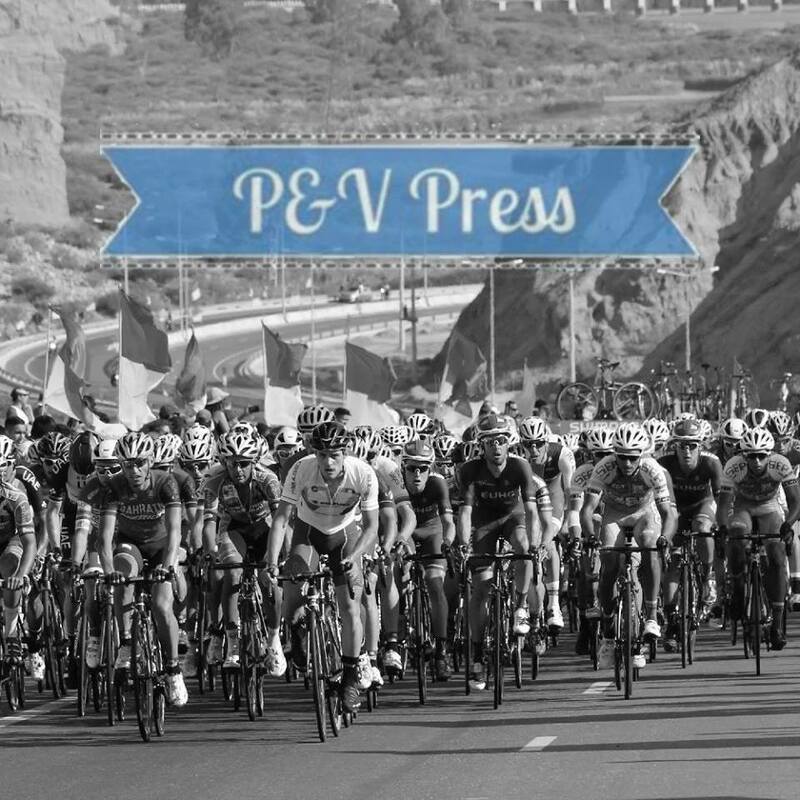 Wout Poels– we could all see that he has hanging on the Corkscrew. The Dutchman was the one to kick off the attacks, but he struggled when Woods upped the pace. I don’t think anything will have changed since then and I can’t see Poels winning this stage. Daryl Impey– after picking up another 5 bonus seconds today, the South African has a brilliant chance of retaining his crown. With 19 seconds to play with, he knows that he has to follow the wheels and limit his losses. Last year he was 8 seconds behind Porte on Willunga, a repeat of that will be enough to claim the ochre jersey. Forget about the stage, it’s all about ochre. Paddy Bevin– such a shame he crashed today. He doesn’t have any broken bones but trying to climb Willunga with bruised ribs will make it impossible for him to keep his jersey. Terrible luck as he really deserves to win this race. Michael Woods to dethrone Richie Porte. The Canadian looks in brilliant form, but Impey will just do enough to win the GC.